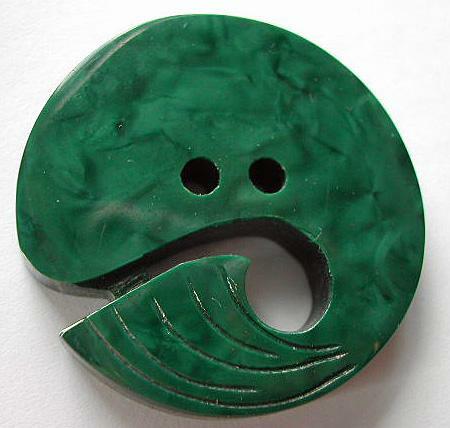 Thick vintage green mottled casein / galalith button, hand cut and carved like a stylised dolphin. Size: 1 1/2 inch. Thick: 1/4 inch. In excellent condition. Any white spots on picture is only dust or glare from camera. I also have a brown version available.